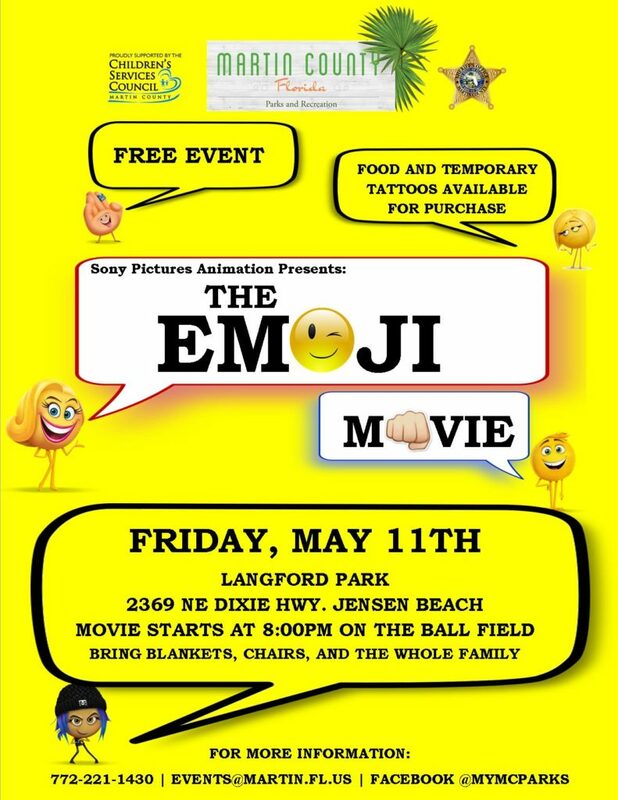 Martin County Parks and Recreation’s “Movies at the Park” presents The Emoji Movie! The 2018 season of “Movies at the Park” is here! Come and enjoy 2 hours under the stars with your friends and family while watching a great movie on a 20ft tall screen. Movie: May 11, 2018 – “The Emoji Movie” at Langford Park on the baseball field at 8 PM. “Movies at the Park” are FREE to enjoy. Food will be available for purchase.